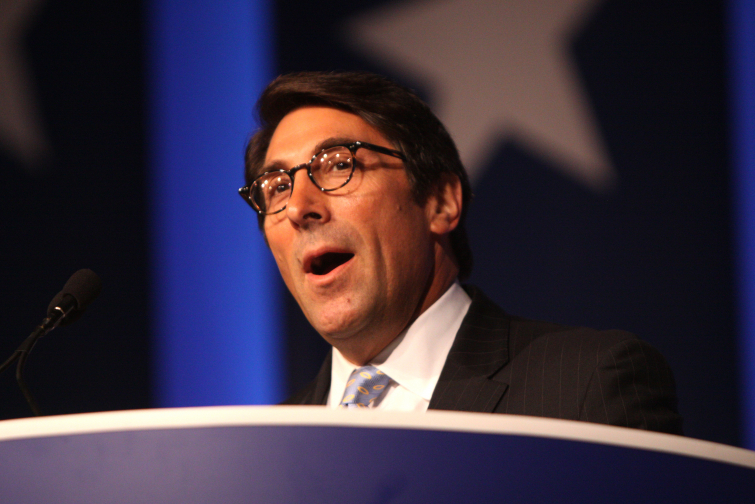 Chief Counsel for the American Center for Law and Justice Jay Sekulow is one of the attorneys representing President Donald Trump as he fends off multiple investigation attempts. But what you might not know is that Jay is a born-again Christian, converting from Judaism to following Christ. He says he used to use his legal mind to attempt to "disprove" Jesus. He even enrolled in Baptist College "to outstudy and outsmart “all the Christians," he writes at Jews for Jesus. "I did well in my pre-law studies, and attacked the mandatory Bible classes with a cynical confidence, certain that it would not be difficult to disprove “their” idea that Jesus was the Messiah," he explains. But then, he met Glen Borders, who was what Sekulow called a "Jesus Freak." "Despite his outward appearance, Glenn turned out to be a “regular guy.” When we talked, I forgot about the big wood cross–maybe because Glenn wasn’t trying to shove it down my throat," writes Jay. Glenn was the kind of person who was there to help if you needed him. "He was a good friend. It was partly due to our friendship that my competitive attitude toward the Bible courses I was taking changed to an attitude of genuine curiosity." Then, as Jay continued to study, he met Christ in the scriptures. "Glenn suggested I read Isaiah 53. My mind was boggled by the description of the “suffering servant” who sounded so much like Jesus," he writes. Sekulow quickly realized he was meeting the risen Messiah. "I kept looking for a traditional Jewish explanation that would satisfy, but found none. The only plausible explanation seemed to be Jesus," he recalls. "My Christian friends were suggesting other passages for me to read, such as Daniel 9. As I read, my suspicion that Jesus might really be the Messiah was confirmed. That decision however, was strictly intellectual. I’d been struggling to resolve this question for about a year, and I was glad to have finally arrived at a decision." Jay realized his profound need for a savior to forgive him of his sins. "I had never felt the need for a Messiah before, but now that I was studying the prophecies and reading about what the Messiah was supposed to do, it sounded pretty good," he writes. "I’d always thought my cultural Judaism was sufficient, but in the course of studying about the Messiah who would die as a sin bearer, I realized that I needed a Messiah to do that for me." Awesome! Share this to encourage others, and pray for Jay in his important work.